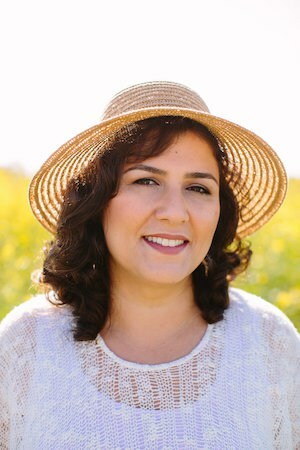 I work with Rosa Daneshvar, a wonderful writer who’s writing a novel about emigrating from the Middle East. My parents are immigrants, so I’m first-generation, and I’m fascinated by how the experience of coming to America has changed over time. We were talking about what’s happened to her, as this administration tries to ban Muslims, and I was horrified by what she told me. So I picked her brain about what it’s like living in the United States right now when your faith is under attack. The Book Doctors: So, Rosa, where are you from in the Middle East, and how have President Trumps actions affected you personally? Rosa Daneshvar: I am a Muslim from Iran. Never in my thirteen years of life in the States had I felt such a feeling of terror. It started the day after President Trump’s executive order came out– when my sister’s frantic back-to-back phone calls deprived me of my lazy slumber on that Saturday morning – when I opened my eyes to dozens of messages exchanged between my brother in Canada, my sister in Washington, my father in Michigan, and my youngest sister in Iran. They all wanted me to confirm the news that there was a travel ban and deportations. TBD: That sounds terrifying, what happened next? RD: In the brief moment that it took me to get from my bed to my computer, my naïve, half-sleep, half-dazed self was confident that it couldn’t be true. I was assured that my family had been carried away with false news. Because it was preposterous. Then I found myself staring at the news in disbelief. It couldn’t be. I searched for more information but I found none. TBD: What did you do? Then I sank into my chair. A terrible sense of despair overwhelmed me. Gradually I realized the depth of problem my family was in. My mom only had enough money for her two-month stay, during which she was going to take care of my 79-year-old aunt after her knee surgery. With the financial exchange sanctions on Iran, we were not going to be able to send her money to live on until we figured out how she could come back. Mom herself had had knee surgery two months ago. What if she had a complication and needed to see her doctor? How could Mom live in a suitcase in my aunt’s small two-bedroom apartment indefinitely? TBD: We were able to contact anybody back home? RD: Yes, I called home to inquire from my youngest sister about my mom’s reaction. As soon as her image loaded on the screen, I recognized those colorful tiles of my aunt’s bathroom. My sister had locked herself up in there to cry freely without worrying others. I asked if she was worried about herself. I told her there was no news about American citizens. She said she was sick with worry about Mom. TBD: It must be so challenging to live with this every day. What’s that like? RD: There is profound fear, uncertainty, and confusion, just like it’s always bubbling just below the surface. My family and I have spent countless hours searching the news, checking social media, and calling government agencies and lawyers to see if our mom would be able to come back. It’s exhausting, and very stressful. TBD: The headlines just seem to feed fears. But the media doesn’t seem interested in filling in the blanks behind the hysteria, to get to the real stories of how people are being affected. TBD: Well, I am a white American, what do you want to tell me? What do you want to tell us? What diversity in the States had taught me is that too many times my ignorance had opened the door of my perceptions to a manipulative world that wanted to build an imaginary foe in my head, to bundle a group of people together and label them in a negative way. Too often the image I had let others build for me had been proven wrong. I came to this country 13 years ago with a dependent student visa in hand, like many people who, under the executive order, were not allowed to board their flight with that same visa. I landed in Boston, as my then husband was going to start his graduate studies at MIT. Not long after my arrival, in that melting pot, I met someone who for 22 years had been portrayed to me as a detested enemy. When that Israeli student asked me where I was from, a dazed fear overcame me. How was he going to react when I told him I was from Iran? This is how he reacted: he invited us to his home. We met his kind, pregnant wife and their sweet, little daughter. Even then, my shy and intimidated self was nervous about the conversations we were going to have. My Israeli friends were not like how we were back then: timid, quiet, and culturally shocked. They talked about Persian cuisine and the Persian cookbook that they used to cook from back home. They told us about our similarities and about the reminiscences of our countries’ past cultural exchanges. With their kindness and rich cultural maturity, they turned that intimidating night into something that felt like a casual catch-up with a good old friend. Having had that experience and many more, I will not let anyone build a new perception of “White Americans” for me. No one else should accept any type of group labeling. TBD: It does seem like we fear the thing we don’t know, and often when we’re exposed to another culture we see how similar we are rather than how different. RD: Yes! Those types of exposures germinated something invaluable in the diffident and international student that I was, something that gradually flourished to become a defining principle of my character: that perceptions are like crafts. They are not authentically yours if others have formed them for you. My Israeli friend and his wife taught me a priceless lesson. They now live in Israel with their beautiful kids. We have stayed in touch. They are my friends. TBD: How has living in America all these years changed the way you see yourself in the world? RD: With every change of status, I had an opportunity to see a new facet of the society. I started my own graduate studies in Chemical Engineering and held a student visa, like many student-visa holders who, under the executive order, were sent home. Along with my professional growth, I nurtured the diverse cultural exposure that was an intrinsic part of American society I was living in. Christianity, Judaism, Buddhism, Hinduism were not dry concepts that I would come across in books or news, but an enticing reality of the people who I interacted with daily. Atheism and agnosticism were no longer unfamiliar words in my vocabulary. It was proximity to different religions that helped make happen my long-held desire of attending a church service with my Christian friend. It debunked the “Muslims are not welcome to church” myth. I was fascinated by the merry atmosphere of the service and sense of community. TBD: What other immigration statuses have you held and how have they impacted your life? RD: After seven years of residing in the States on a visa, I became a permanent resident, like many individuals who were affected by the executive order. Working became a new reality in my life. My change in status lifted the restraints of a life on a visa, where crossing the borders to visit my family was risking my standing in the States. I did not miss my brother’s wedding like many of my friends. I started working as a scientist in one of the largest biopharmaceutical companies in the world. After years of exposure to this culture, America—that one big entity that had been like one individual with one opinion and personality—started to morph into millions of pieces with countless opinions, ideologies, and beliefs. I learned that there was a red and a blue and that I had lived in the Blue all along and that the Red was something that opposed my opinions and me: a Muslim from Iran. TBD: Yes, we’ve had lots of difficulties talking about politics as we go on the road to places that seem to be fine with rabid sexism, religious intolerance and racial prejudice. RD: Exactly. I am guilty of holding prejudice myself. All through my residence in the Blue I remained wary of the Red, even when the hands of destiny made me work alongside one in my team who loved talking about politics. If I was accidentally caught up in political conversation in my conservative colleague’s presence, I was that quiet person who wanted to keep work relationships separate from personal opinions. That did not last long. Now we have walked many walks and talked many talks. I learned, once again, that I had been wrong in assuming one voice and one entity for the Red and that it had as many opinions as it had people. My colleague is the one who said, “You cannot really understand your viewpoint until you can eloquently articulate and defend a viewpoint you disagree with.” Her opposing views challenged me to re-evaluate all that I had thought was right, and separate what I deeply believed in from what I had borrowed from others without scrutiny. TBD: Being a writer, you know how important the nuance of words and intricacies of vocabulary are to participating successfully in a culture. It seems like that’s one reason people who come to a new country sometimes hide among their own and don’t really attempt to assimilate. Have you found that? RD: You are absolutely right. After thirteen years, I am not that international student who is forced to a shy corner by the new culture. Only after these many years, worries of making mistakes while speaking in a foreign language do not force me into silence and solitude. I do not immerse myself in the Iranian community to shield myself from the unfamiliar world that I live in. Now I have lived in the States long enough to get half of the cultural references and realize that the Seahawks and the Red Sox are sports teams. I am fluent enough in the language to make myself understood and brave enough to talk and make mistakes and learn from them. And I have learned enough social norms of communication to surround myself with people of different colors and race. TBD: Didn’t you recently become a citizen? RD: By pure chance, I took my oath of citizenship two days before President Trump’s inauguration. It’s deeply unfortunate to say that I feel lucky to have taken my oath before the change of administration. It shouldn’t be this way. My sister shouldn’t have halted her wedding plans because her future in-laws cannot attend the wedding due to the travel ban. My parents should not worry about crossing the border to visit my brother in Toronto. My brother shouldn’t be banned from entering the U.S. to see us. Our story is just one of the many thousand stories of people who have been affected by the travel ban. TBD: Do you feel the acrimonious contentiousness of this recent election has divided people, and unleashed an anger simmering beneath the surface? RD: I do. The excessively lengthy political race and its side effects have put profoundly disproportional weight on our differences and have instigated unhealthy hate and anger. “Unanimity” and “global agreement” are attractive and elevating notions, but are not meant for a healthy society. One cannot champion diversity and not welcome differences of opinions. It is barbaric to attack an idea or a group when you don’t know what that idea or group is about. At this time when our differences are being magnified by people who are running their own race, and rage is being fanned by people who are playing their own game, it is time for all of us to start a dialogue with each other. It is necessary for us, now more than ever, to eloquently articulate and defend a viewpoint we disagree with. Dialogue is the only means to peace. It is time that we the people have a dialogue, not to change each other’s convictions, since convictions fast changed are short-lived, but to understand each other and challenge our firm, long-held beliefs against reality. TBD: Do you ever worry that exposure to different religions and cultures will water down your own sense of who you are, what God you worship, what you believe in fundamentally? RD: Getting to know my Israeli and Christian friends neither converted me to Judaism or Christianity nor turned my Israeli and Christian friends to Islam. My conversation with my Republican colleague did not revolutionize me to take on a new political identity. Those exposures empowered me with knowledge of new realities, and broadened my perspective so much that no biased, agenda-driven media outlet can ever again color for me every Israeli or Jew with the color of their choice. No politician can provoke me to be against other religions. No uninformed entity can wrap my opposing ideas in one box and sell it to me. Deep understanding of the reality of the world we live in is what all of us need. TBD: As someone who has come to this country and embraced it, what would you like to say to America? RD: The enduring greatness of this nation has been the result, in her walk through time, of a continuum of right decisions. Let’s continue to take that walk together, not in unanimity but in unity. Let’s make that right decision together, not in complete agreement but with sincere understanding. To my so-called “White American” friends, my name is Rosa. I am a Muslim and I am from Iran. Who are you? What are your concerns?